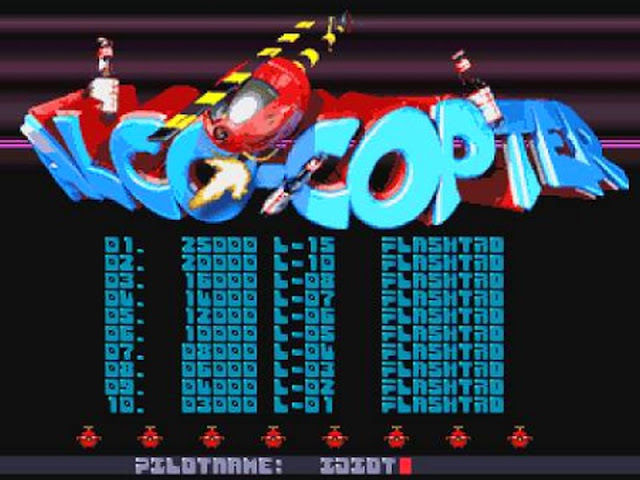 Indie Retro News: ALCO-COPTER - Puzzle based heli shooter for any Amiga +1MB Chip gets a release! 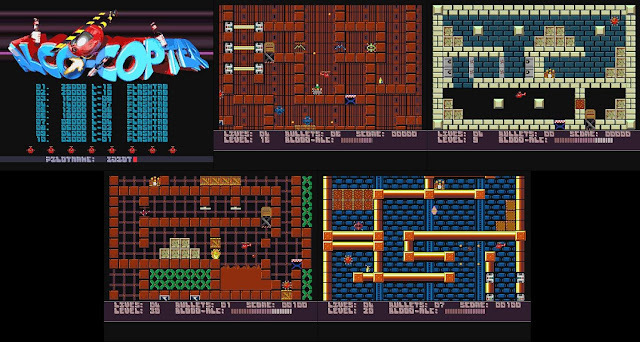 ALCO-COPTER - Puzzle based heli shooter for any Amiga +1MB Chip gets a release! A lot of games to get through this week for a bit of retro gaming fun, as we've been informed by Matthew Nolan, regarding his previous release of 'Alco-Copter' for the Amiga developed by our good friends Flashtro, that today saw the final release of the game as version 1.0. This game is a multi-genre game with puzzle and shooting based elements, you control a helicopter that works purely on Alcohol that must complete each of the 30 great levels without crashing into the sides or allowing your blood Alcohol level to drop too far. As we said before the idea behind the game is simple, blast objects in your way, take out the electric beams blocking your path and reach the exit with a safe landing. The problem is not only is it a very challenging game to play as your alcohol level will need to be replenished with a bottle of booze, and your bullets can run out, but if you touch any parts of the game screen head on or too fast it's an instant death ( Something that will happen A LOT! ).